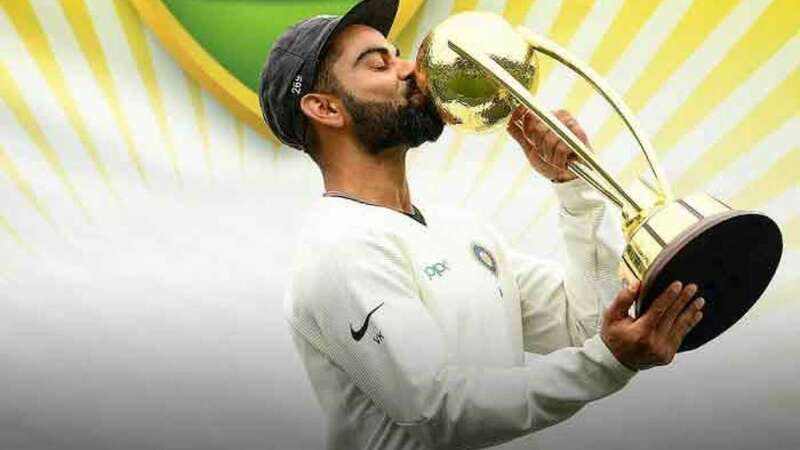 New Delhi : The King of 'Indian Cricket Team' Virat Kohli became the first player in history to win the Sir Garfield Sobers Trophy for ICC Cricketer of the Year, the ICC Men’s Test Player of the Year and the ICC ODI Player of the Year awards following extraordinary 2018. The captain has bagged all the awards on offer at the ICC awards 2018. Virat has also been recognized as the captain of the ICC Test and ODI teams of the year for an amazing performance in the international cricket. Kohli scored 1,322 runs at an average of 55.08 in 13 Tests with five hundreds during the calendar year while in 14 ODIs he amassed 1202 runs at an astonishing average of 133.55 with six centuries. He also scored 211 runs in 10 T20Is. To recall, Kohli had won the Sir Garfield Trophy and ICC ODI Player of the Year awards last year and was also the ICC ODI Player of the Year in 2012. “This is well-deserved recognition for an extraordinary talent. His regard for the game and particularly for Test cricket is also recognized and appreciated. He is passionate in his support of the longest form of the game and its continued importance. To be recognized as a true cricketing great you need to be successful at all formats of the game and Virat has become a great ambassador for our sport,” ICC Chief Executive David Richardson mentioned about Kohli.